Taking your kids to a new place can be a little stressful — will there be enough to keep them entertained? For them to see and taste and do? When it comes to Arlington, Texas, you can bet on it. Arlington sits between Dallas and Fort Worth, and you’ll find a slower vibe here than in those neighboring cities. The laid-back feel means that while your kids explore, you can take it easy and just relax. That is, if relaxing means catching a professional sports game, chasing down your kids in laser tag, or watching them roller skate for the first time. Here’s how to spend the perfect weekend with the family in Arlington. 1. Two amusement parks, one question: water rides or roller coasters? 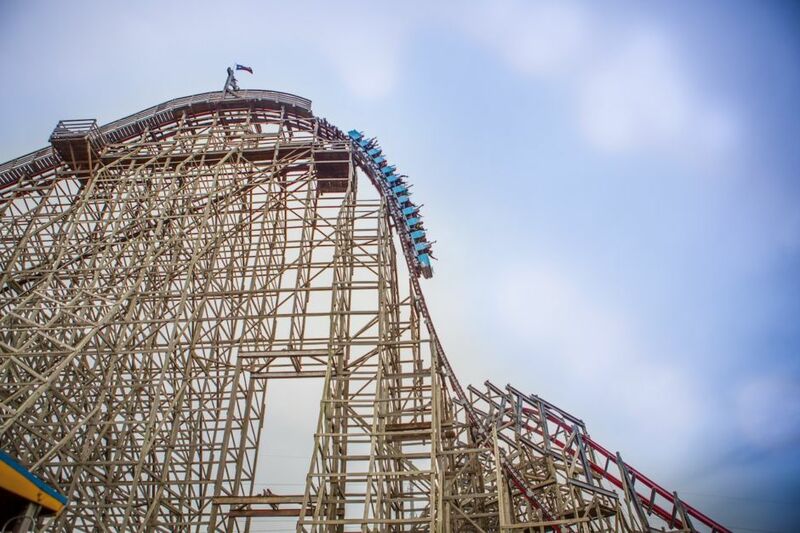 There are two amusement parks in Arlington: Six Flags Over Texas and Six Flags Hurricane Harbor. The former is where you’ll find roller coasters, rides, and carnival games for everyone. There’s also Bugs Bunny Boomtown, a separate area designed specifically for the little ones who don’t quite make the height requirement for the New Texas Giant roller coaster or Batman: The Ride. Save Hurricane Harbor for a sunny day (which, admittedly, is pretty much every day in Arlington). This is a 50-acre water park with slides of all sizes, a lazy river, and shallow pools for the little ones. Suntan Lagoon is where everyone can just chill, but if your kids still need to work off some energy, Hook’s Lagoon Treehouse is a wet kid-zone where they can do some climbing. 2. Introduce your kids to the greatest arcade games of all time. Free Play Arlington is an arcade with 90+ games, and it’s the perfect place to illustrate for your children how great (read: better) the ’80s were. Parents will remember Pac-Man, Q-bert, Frogger, Tetris, and Mario Bros, and now your kids will never forget them, either. For $10/person, you can play as many games as you like. You’ll have to supervise your kids, but you can do that with one of Free Play’s 100 different beers in hand. It’s also a great place to have lunch or a cheap dinner (think mini street tacos and pizza). Just note that after 9pm, Free Play is adults-only. 3. Explore a park together. Take the family fishing or kayaking at Bowman Springs Park, which has an 11-mile paddling trail. 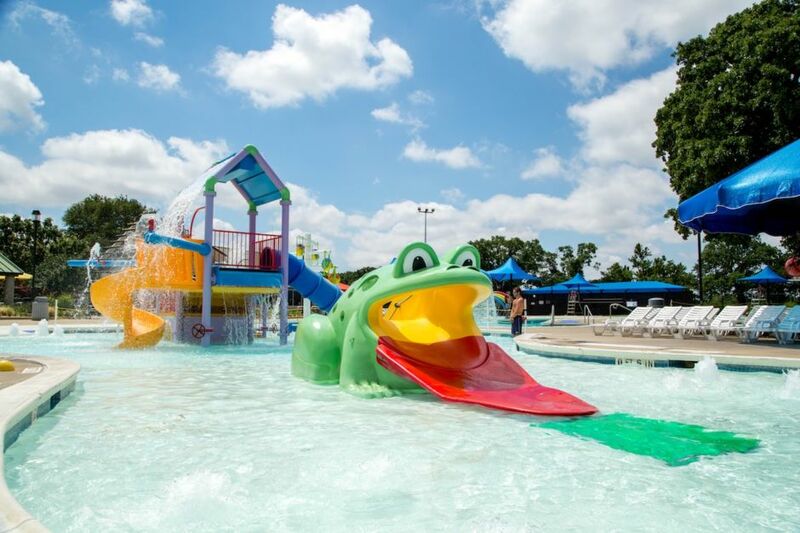 Bad Königshofen Family Aquatic Center and Randol Mill Family Aquatic Center have pools, slides, and splash areas for families. River Legacy Park covers 1,300 acres and has eight miles of hiking and biking trails, in addition to a science center where your family can check out aquariums and terrariums filled with animals. It also hosts events like After Dark in the Park, a nighttime festival. And then, for the not-so-green kind of park: Arlington has two indoor trampoline parks. Urban Air Adventure Park is the newer of the pair, complete with obstacle courses, climbing walls, dodgeball, and a slam-dunk zone. Flight Deck Trampoline Park has 90 connected trampolines — yes, you read that right — and a safe zone for younger kids. 4. Get the family on skates at the largest roller rink in Texas. If you’re better on the ice, take a trip out to the NHL-size rink at ICE at The Parks. There’s public skating every day for $10 and under, and skate rentals are just $3. You might even be able to see a game of “broomball” — check the schedule. 5. Catch a game with one of Arlington’s three professional sports teams. Arlington is home to the Dallas Cowboys, Texas Rangers, and the WNBA Dallas Wings, and between the three of them there will almost always be a game on, regardless of when you visit. If you can only see one, make it the Cowboys — there’s a free Albertsons Kids Zone before every game, where kids can throw around inflatable toys, play games, and have their faces painted in true superfan fashion. Families on a budget should keep an eye on the Texas Rangers and Dallas Wings, as ticket prices can be discounted for some games. 6. Beat your kids at go-karts. K1 Speed is an indoor go-kart racing center just across from Six Flags Hurricane Harbor. Banish your visions of the old-school two-stroke karts spewing fumes all over the place — this track is professionally designed, with lap times measured to the hundredth of a second, and the karts are all-electric, European-style. There’s also an arcade in the lobby that’s filled with motorsports history and memorabilia, including a life-size race car. For other indoor fun, check out Alley Cats Entertainment and its laser tag, billiards, batting cages, and putt-putt golf. For easy and delicious comfort food, bring your kids to Babe’s Chicken Dinner House. It’s a family-run restaurant with classic country meals like chicken and biscuits and homemade pie. Relax and have a beer while your kids dance with waitstaff to the Hokey Pokey. 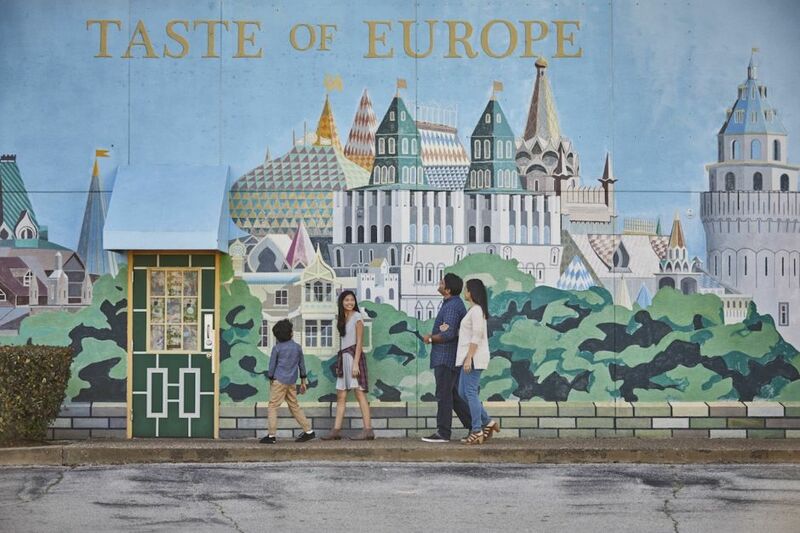 When you’re ready for something completely new, take your family to Taste of Europe. Not only can you try some classic Eastern European meals — beef stroganoff, Hungarian goulash, Chicken Kiev, and pirogues — but the entire place will be an experience for your kids. Several hours can pass here easily, especially if you browse through Taste of Europe’s gift shop after lunch. It’s jam-packed with handmade toys and crafts from Russia and specialty groceries from all over Europe, plus a deli to take out from. Next, check out the Asian Market at Ben Thanh Plaza. There are more than 50 different businesses here, including a grocery store, a deli, and a food court where your family can try Thai and Lao, Filipino, Vietnamese, and Chinese meals that are all authentically made with fresh and often local ingredients. 8. …and then nurture your sweet tooth (teeth?). Your kids are on vacation too, so let them eat (funnel) cake. And fried Oreos. And plenty of other state-fair-reminiscent treats at Funnel Cakes & Gelato, a burger joint on North Davis Drive. Why should fair-fare be a once-a-year occasion? For ice cream with a smorgasbord of different toppings, fruit, and candy, check out Iceland Ice Cream. Another solid option for a hot day is the Snowflake Factory, where you’ll find more flavors of thinly shaved ice than you ever thought possible. 9. Watch a blacksmith presentation in a pioneer setting. There’s always time to absorb a little history. Take the fam to Knapp Heritage Park (open weekends from 1-4pm), a cultural and heritage facility with three of Arlington’s oldest buildings: two cabins that date back to the 1800s, and a schoolhouse that was built slightly after. Tours are available upon request, and on the last Sunday of the month, there’s a special blacksmith presentation your kids will love. Though they’ll probably love everything else in Arlington, too. This post is proudly produced in partnership with the Arlington Convention & Visitors Bureau.